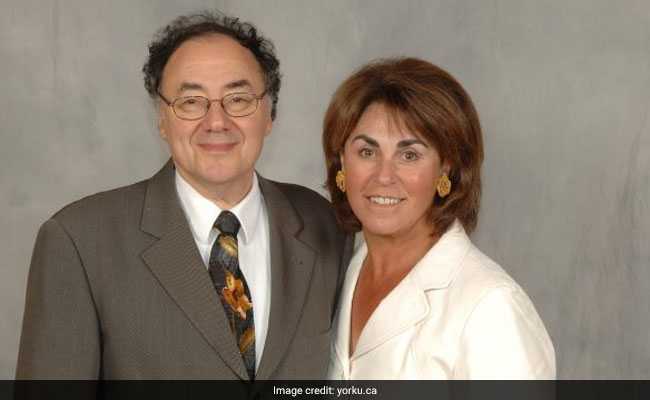 The bodies of Honey and Barry Sherman were discovered on December 15 in their $7 million home. Private investigators believe a prominent billionaire couple found dead in their Toronto mansion last month were murdered by multiple people two days before their bodies were discovered, Canadian Broadcasting Corp. reported Saturday, citing a source "with direct knowledge of the parallel probe" into the deaths of Honey and Barry Sherman. The private investigation - which contained graphic details of the alleged ways the Shermans had been killed - at times contradicted early reports about an ongoing investigation by Toronto police, who have remained tight-lipped about the case over the past month. The bodies of the Shermans were discovered Dec. 15 in the lowest level of their $7 million home, reportedly by a real estate agent who was preparing the mansion for an open house. The Shermans had been strangled, and were found with their bodies dangling from the railing around their basement lap pool, Toronto police said. A coroner later determined the cause of death to be "ligature neck compression," a form of strangulation in which a cord or rope is used to exert fatal pressure on a person's neck, according to police, who labeled the death "suspicious." Police said there were no signs of forced entry at the Shermans' home and have not arrested anyone in the case. The gory deaths were a shock to the Shermans' neighbors in Toronto's affluent North York neighborhood, who called the couple "lovely people." Well known in Canada, the Shermans made billions in the pharmaceutical industry, then gave a significant chunk of their fortune away to charity. Since December, police have released scant new information about the case, though local media outlets have reported seeing officers continuing to guard the Shermans' home around the clock. The week after his parents' deaths, grieving son Jonathan Sherman said the family had been trying to navigate "a terrifying maze of non-information." The family vehemently rejected an early report by the Toronto Star that said police were investigating the possibility of a murder-suicide. In late December, attorney Brian Greenspan said the family said they had hired private investigators "to provide a second lens and to ensure that no stone is left unturned." "The team of private investigators believes that the Shermans were, in fact, killed on Dec. 13, two days before they were found. This conclusion is based on the fact that Honey was wearing the same clothes she was last seen in, on Dec. 13, according to the source. "Private investigators also believe that Honey struggled with her killer or killers. She had cuts on her lip and nose, and was sitting in a pool of her own blood when she was discovered. However, there was comparatively little blood apparent on her upper-body clothing, suggesting that she had been facedown on the tile, bleeding, for some time before being bound to the handrail in an upright position, the source said." The source also told CBC that private investigators believed the couple had been bound together at some point and showed evidence that their necks had been tied to a handrail near the pool with leather belts. The Shermans were, however, limp and not bound together when their bodies were found, the source told the news site. A Toronto police spokeswoman said Sunday the department had no updates pertaining to the Sherman case. Greenspan, the attorney for the Sherman family, did not immediately respond to a request for comment Sunday morning. Barry Sherman, 75, was the founder of Canadian pharmaceutical giant Apotex and one of the richest people in the world. Forbes estimated his net worth at $3.2 billion, earning him the 12th spot on the list of the wealthiest Canadians. He'd appeared on the Forbes list of the world's billionaires for 15 years. The Shermans were known for their largesse, doling out tens of millions of dollars to universities, hospitals and the United Jewish Appeal, according to the Globe and Mail. Honey Sherman was a board member at several institutions: York University, the Baycrest Foundation and Mount Sinai Hospital. She had been chair of the Jewish Foundation of Greater Toronto and the Holocaust Education Centre. 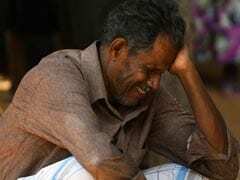 They are survived by their four children, including one who had just given them a grandchild. Their deaths brought condolences from the highest rungs of Canadian society and government, including from the organizations they had spent years supporting. Prime Minister Justin Trudeau was among those expressing grief. But Barry Sherman's rise had not been without conflict. Apotex, according to Sherman's biography in the Globe and Mail, "revolutionized the pharmaceutical industry in Canada." Sherman started the company in 1974 after using his mother's life savings to buy out a similar business started by his uncle; it manufactures and exports generic drugs to more than 115 countries. But his gains came at the expense of larger pharmaceutical companies. The Globe and Mail obituary described him as a "ruthless fighter capable of waging as many as many as 100 lawsuits at a time against business rivals." "He was the bane of the existence of the branded drug companies in Canada. He was not their favorite person, but he was respected," Paul Grootendorst, associate professor at the University of Toronto's Leslie Dan Faculty of Pharmacy, told the Canadian Broadcasting Corp. Some of the conflicts over the years were familial. For more than a decade, Barry Sherman had been involved in an acrimonious legal battle with three cousins and the widow of a fourth - sons of the uncle who instructed him in the generic-drug business that preceded Apotex. That uncle, Louis Winter, died in 1965, 17 days before his wife died. At the legal fight's lowest point, Winter's sons accused their now-billionaire cousin of plotting to kill Winter, according to the Globe and Mail. They said that he used handouts to silence them, and that they deserved a stake in Apotex. "Barry's father died when he was young, and my dad took him under his wing and taught him the family business," Kerry Winter, one of the cousins, said in filing the lawsuit. "It's disappointing that we're fighting this way now." The original suit was dismissed in 2015 but reinstated a year later, according to Forbes. A judge ruled in favor of Sherman in September, but the cousins have appealed. It was unclear what Sherman's death would mean for the suit - or for his company. Sherman stepped down as chief executive in 2014, but he remained chairman, according to Forbes. Before they died, the couple had been planning to head south to their winter home in Palm Beach, Florida. Honey was scheduled to arrive the Monday after she was found dead; her husband would follow a week later, according to the Globe and Mail, which talked to some of their Toronto friends slated to attend a dinner party. "Looking forward to getting together in Florida," Honey wrote in an email to friends. "Please let me know your dates south ASAP so i can place in my calendar ... Looking forward to hearing back ASAP. Xoxo Honey."